Perhaps best known for programming the music for West Cornwall’s Lafrowda Festival and presenting a weekly local music show on Penwith Radio, Kevin GODDEN has quickly established himself on the Cornish party scene. His unique style has earned him a keen following. A promoter since his University days “too many” years ago, and a self-confessed music-geek, Kevin’s DJ experience unwittingly began as a child recording his own ‘shows’ on a ’70s tape deck – cutting and splicing the tape to edit out the radio DJs! Fast-forward a few years, and a now large, eclectic music collection was increasingly in demand whenever there was a party to be soundtracked. Inspired by the mash-up and indie-dance scenes of the nineties, Kevin started to prepare mixes for parties using computer software. But the inflexibility of the prepared tracks was a frustration – as the desire to play to the crowds reactions grew. Then at a friend’s party he met a DJ who was using Traktor – and he has never looked back. As the parties grew, gig offers came and (under the “joke that stuck” moniker Digitall DJ) he made his first festival appearance at Holifair 2010 .Having been spotted by the promoter at a new year party, he was asked to support James Taylor Quartet at a sold-out gig in December of that year. Regular nights at Toast in Falmouth, the Studio Bar in Penzance and at his own promotions, Razzmatazz and Decadance, established Kevin throughout 2011. His next huge break came in Oct 2011 when he was chosen from thousands of applicants to perform a 30 minute set at the biggest showcase for electronic and dance music in Europe – the BPM Show at the NEC Birmingham. 2012 saw Kevin go from strength to strength. Firstly with a residency at B-Side at Bunters, supporting Cornwall’s finest bands and many great up-coming acts, and then on the festival circuit, with successful sets at Holifair, Leopalooza 7 and Boardmasters. He has impressed with floor-filling sessions at the Fish Factory in Falmouth, Porthleven Masked Ball, and countless parties and shows, on bills with the likes of Stanton Warriors, Krafty Kuts, Utah Saints, Brandon Block, Mylo, Herve and many more. He also found success with his own ‘mash-up’ re-edits,. with one in particular clocking up over 2000 downloads after appearing on a bootleg compilation. This year has been no less eventful - with storming appearances at his local Lafrowda Festival, Leopalooza 8, two legendary Masked Balls and regular outings in and around Penzance. Kevin also made a second appearance at BPM in Birmingham, at the invitation of the Virtual DJ team. Still hosting regular shows on Penwith Radio, Kevin also has regular guest slots on Falmouth’s SourceFM, and presents a fortnightly show on internet-based 24/7 dance station BrapFM, which has seen him make his debut in Bristol. 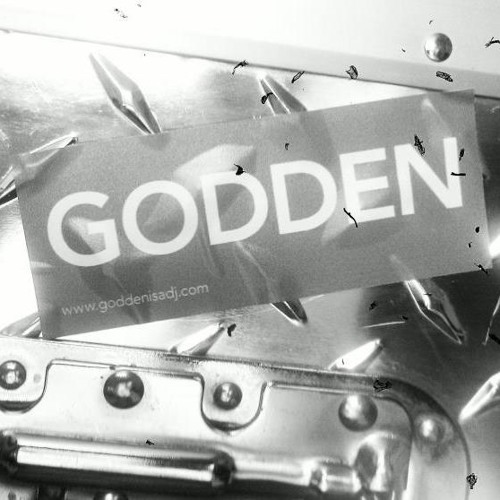 With a unique style demonstrating his evident love and knowledge of music, expect to see GODDEN filling the floor with his genre-busting performances at the best parties and events in the SW. Just don’t be surprised to find him next to you on the dancefloor during his own set!